Below you will find a slideshow of active websites. Feel free to visit their websites so you may experience them in their entirety. Alternately, you may scroll lower to view a list of active websites and to read more. Since businesses come and go, among the currently inactive websites were websites designed and maintained for various types of businesses, such as: homemade baked goods, international sports travel, advanced restorative skin care cream, wedding photography, action photography, interior house cleaning/maid service, rustic furniture, fundraising, treadmills, motivational speaking, multi-station gyms, antiques, circuit training fitness equipment and more. 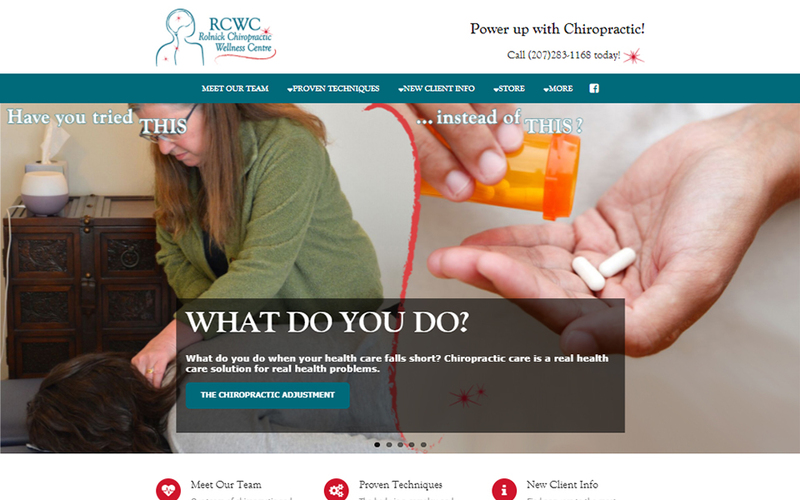 Rolnick Chiropractic Wellness Centre... Helping you lead a healthy life. Rolnick Chiropractic needed help consolidating some in-house databases. 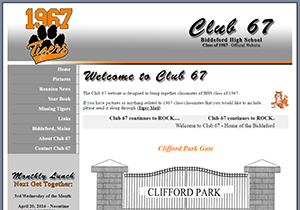 They also needed help with creation of their simple and easy-to-navigate website. 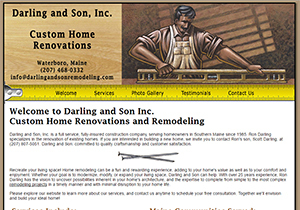 This website was recently redesigned to be responsive to different screen sizes and mobile-ready. 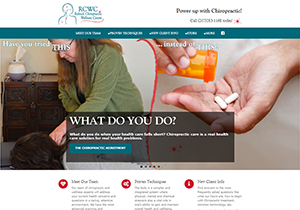 To power up with Chiropractic, visit rolnickchiropractic.com. 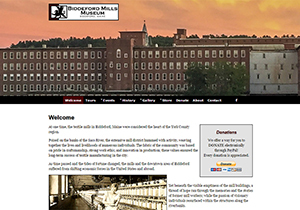 Biddeford Mills Museum ... At one time, the textile mills in Biddeford, Maine were considered the heart of the York County region. Poised on the banks of the Saco River, the extensive mill district hummed with activity, weaving together the lives and livelihoods of numerous individuals. 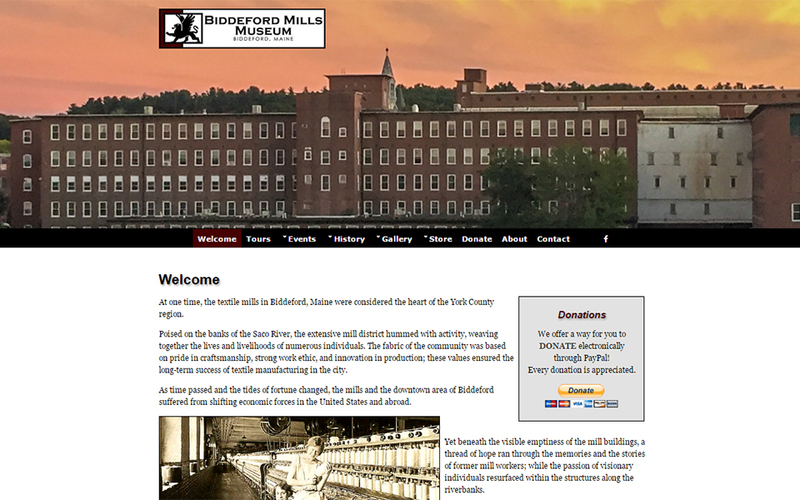 The Biddeford Mills Museum, through research, exhibits, programs, and events, will ensure that the rich heritage of the mills informs the generations to come. 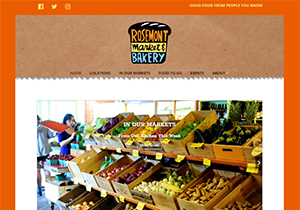 Rosemont Market & Bakery was born in 2005, from parents with long and varied experience in the world of food. Co-owners Scott Anderson and John Naylor worked together at the beloved Portland Greengrocer for ten years. Rosemont is about making available the widest possible array of locally grown foods and locally raised animals. A website dawnsweb.net did not design, but performs content updates and has created Newsletters for. 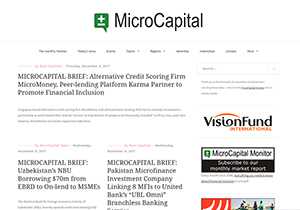 MicroCapital publishes information on microfinance, SME investing and other forms of impact investing monthly in the MicroCapital Monitor and daily at MicroCapital.org. Since 2005, they have been covering news, events, research summaries and a range of special features on the sector. As impact investing is an emerging industry with a legacy of charity, objective news with a business orientation is scarce. MicroCapital seeks to counter this scarcity by providing candid information with the goal of encouraging rational growth of the industry. A website dawnsweb.net did not design, but performs design adjustments for. Maine Home For Sale... Charm, design and character await you in this conveniently located 3 Bedroom and 3 Bathroom Maine home for sale in Biddeford, Maine. On a babbling brook in a beautiful, quiet suburban neighborhood, perfectly situated between the ocean and the city. 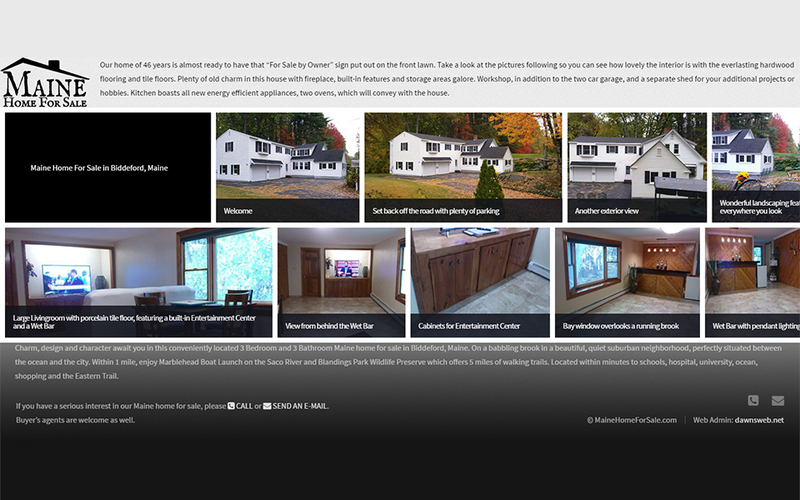 For more infomation, photos, and a printable property listing, visit mainehomeforsale.com. Labels, Inc. has provided custom label and flexible packaging solutions for over 30 years. Whether your product is converted via their Packaging, Flexographic, Process Screen, Offset, or Prepress Departments, they strive to consistently exceed your expectations. 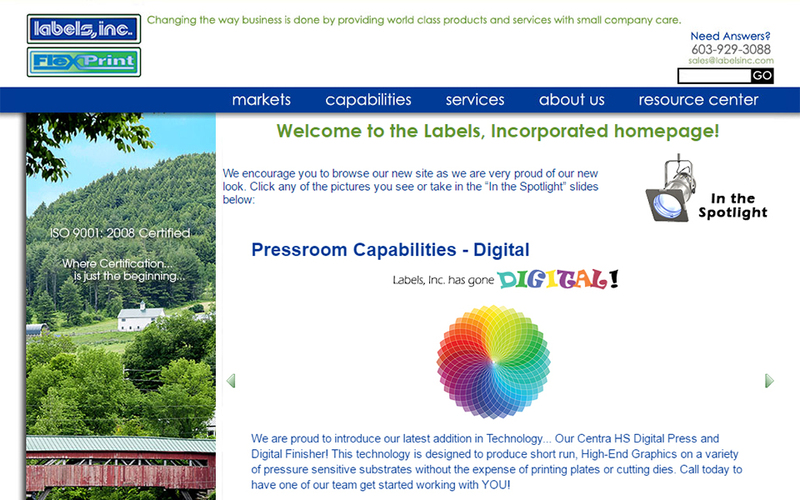 At Labels Incorporated they understand that their customers need more than just products. Their desire to provide value added service is unmatched in the industry. 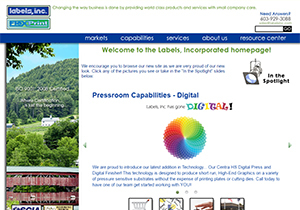 Labels, Inc. is located in New Hampshire. Our Son Billy ... 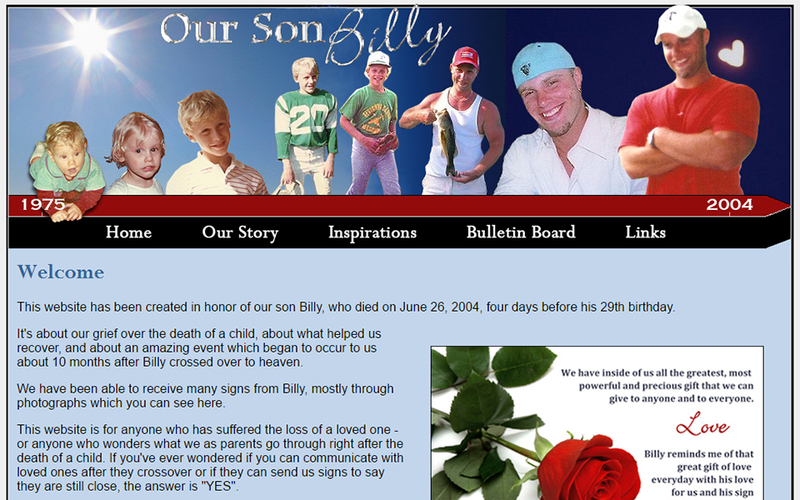 This website was created in honor of Billy, who died on June 26, 2004, four days before his 29th birthday. It's about the parent's grief over the death of a child, about what helped them recover, and about an amazing event which began to occur about 10 months after Billy crossed over to Heaven. 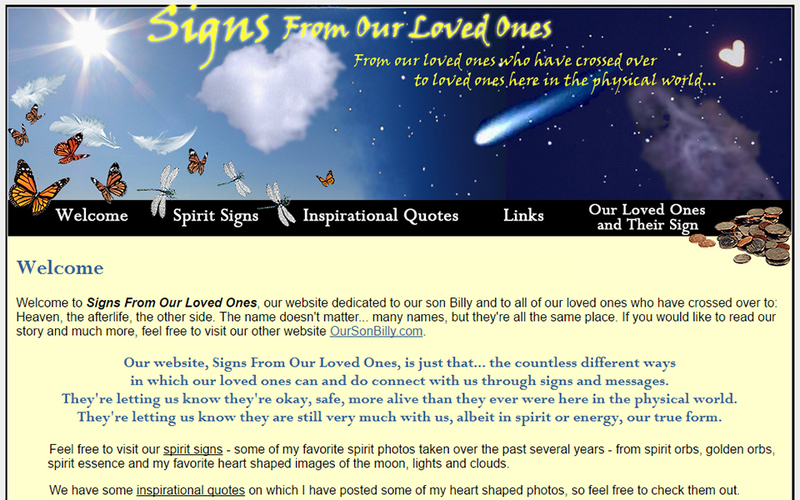 Signs From Our Loved Ones ... From our loved ones who have crossed over to loved ones here in the physical world. A collection of photographs of spirit orbs, ghost pictures, paranormal activity, supernatural lights, and other spirit signs to the living. 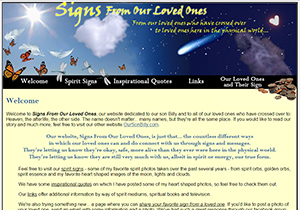 This website has been created to give inspiration and share experiences of communicating with the afterlife. 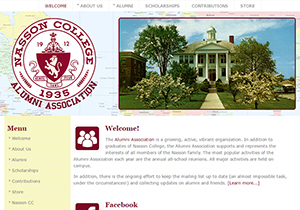 Nasson College Alumni Association is a growing, active, vibrant organization. 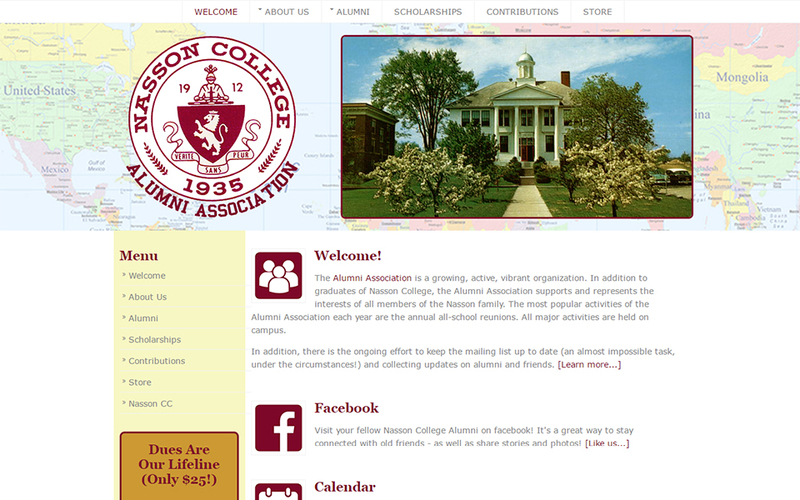 In addition to graduates of Nasson College, the Alumni Association supports and represents the interests of all members of the Nasson family. 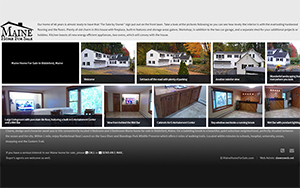 A website dawnsweb.net originally assisted with when needed, but more recently redesigned to be clean, organized, responsive to different screen sizes and mobile-ready. 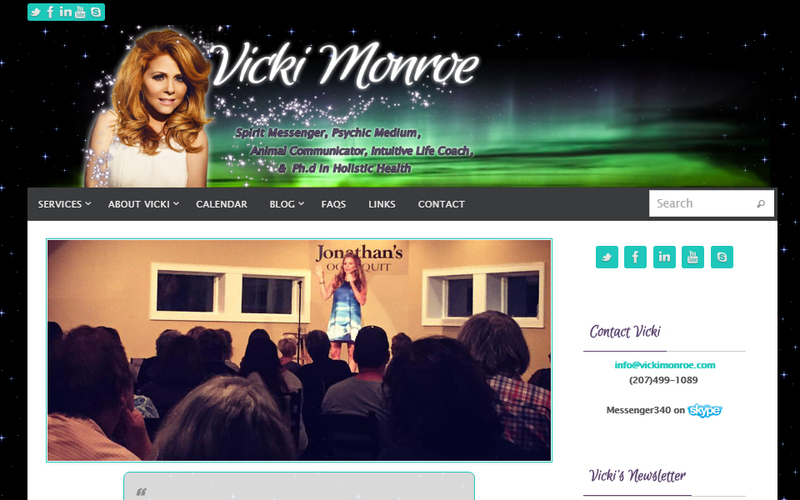 Vicki Monroe: Spirit Messenger, Psychic Medium & Cold Case File Investigator ... Vicki Monroe is considered to be one of the world’s leading psychic mediums whose gifts go far beyond basic spirit messaging to include spiritual counseling, health and wellness counseling, criminal cold case investigation, and more. 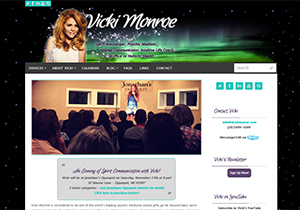 A website dawnsweb.net originally performed updates on, but more recently redesigned to be fresh, yet responsive to different screen sizes and mobile-ready. 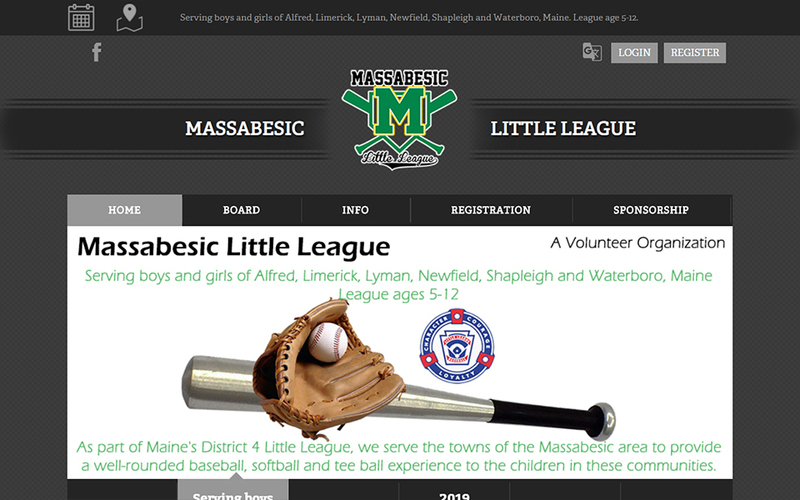 Massabesic Little League is a volunteer organization serving boys and girls of Alfred, Limerick, Lyman, Newfield, Shapleigh and Waterboro that are league ages 5-12. 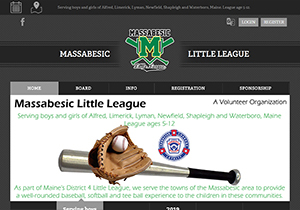 As part of Maine's District 4 Little League, MLL serves the Massabesic area to provide a well-rounded baseball, softball or tee ball experience to the children in these communities. dawnsweb.net originally designed a user-friendly website that was organized, responsive to different screen sizes and mobile-ready. More recently, the information was incorporated into an online sports club oriented registration management system. 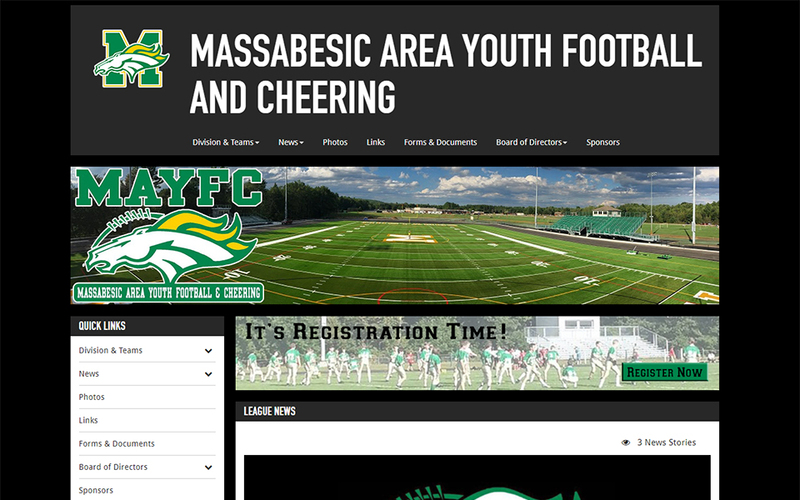 Massabesic Area Youth Football and Cheering progression based Football and Cheering for fun, development and physical fitness. MAYFC is a non-profit youth football and cheering organization that accommodates RSU #57 students in grades K-8. 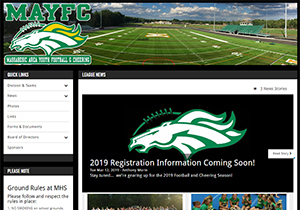 dawnsweb.net helped organize and update the appearance of information for their online sports club oriented registration management system. Kate's Homemade Butter ... The freshest, creamiest, most delicious butter you'll ever taste. 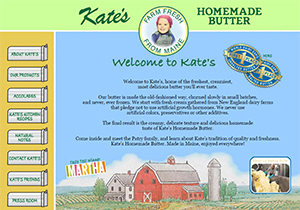 Kate's butter is made the old-fashioned way, churned slowly in small batches, and never, ever frozen. They start with fresh cream gathered from New England dairy farms that pledge not to use artificial growth hormones, pesticides or fertilizers. They never use artificial colors, preservatives or other additives. 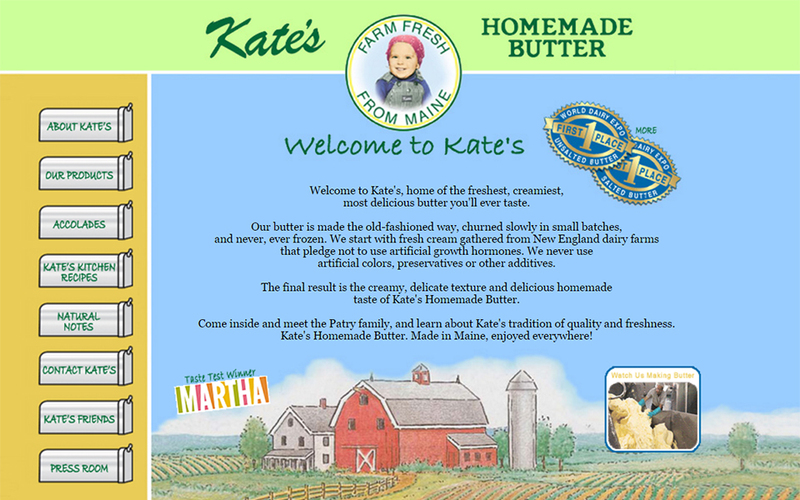 The final result is the creamy, delicate texture and delicious homemade taste of Kate's Homemade Butter. Made in Maine. 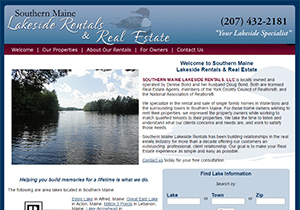 Southern Maine Lakeside Rentals can help you find a private lakeside rental for your Maine vacation at a price that will meet almost any budget. They also offer winter rentals as well as long-term rentals. All of their properties offer a private area for swimming, canoeing, kayaking, boating and fishing right at your door step. Helping you build memories for a lifetime is what they do. Chasse Painting & House Washing can be contracted for residential or commercial paint jobs and exterior house washing needs. 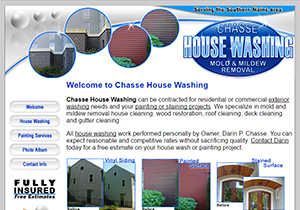 Chasse Painting & House Washing performs interior and exterior painting projects, pressure washing, mold and mildew removal and wood restoration. 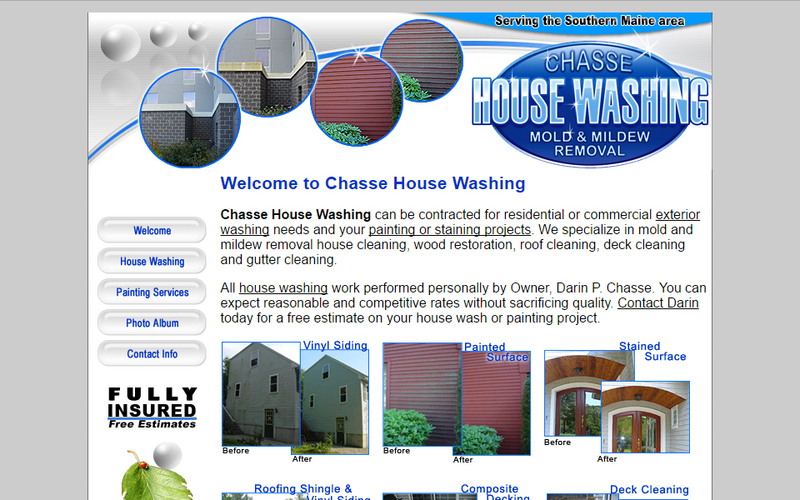 Painting and pressure washing in the Southern Maine area. 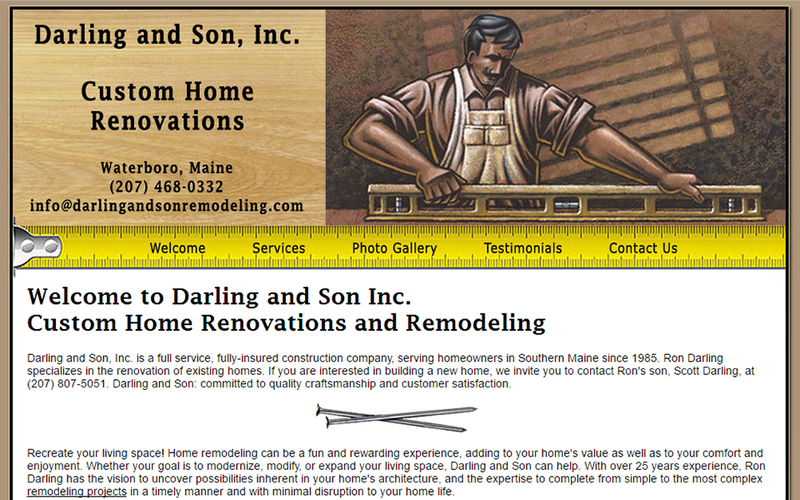 Darling and Son, Inc. is a full service, fully-insured construction company, serving homeowners in Southern Maine since 1985. Home renovations and new home construction. 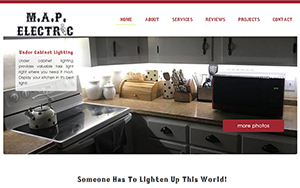 Offering professional color selection and painting, window and door installation / replacement, kitchen remodeling, bath remodeling, room additions, transformations, home modifications for the aging or disabled. Serving all of York and Cumberland counties. Located in Waterboro, Maine. 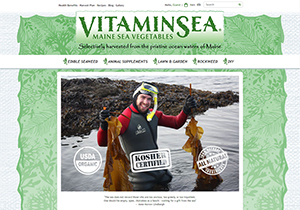 VitaminSea Maine Sea Vegetables Selectively harvested from the pristing ocean waters of Maine. A website dawnsweb.net originally performed updates on, but more recently redesigned to be beautiful while also being secure for online purchases, yet responsive to different screen sizes and mobile-ready. M.A.P. Electric is owned and operated by Michael Pellerin, a Licensed and Insured Master Electrician serving the Southern Maine area. A website dawnsweb.net designed to be responsive to different screen sizes and mobile-ready. 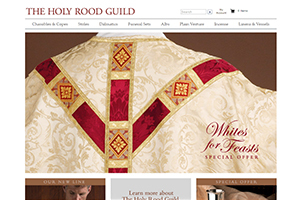 For over 60 years The Holy Rood Guild has been known for the quality and fine tailoring of liturgical vestments. dawnsweb.net is the web admin for this website connected to shopping cart software. 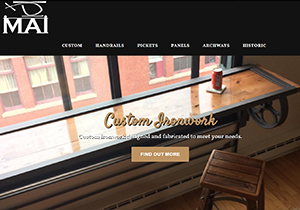 dawnsweb.net adjusts the design regularly, performs content updates and creates Newsletters. 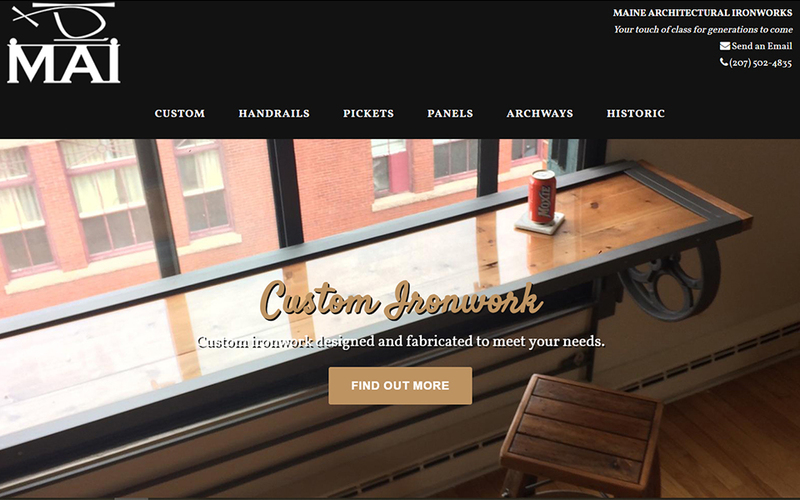 Maine Architectural Ironworks brings the skill and pride of Maine craftsmen to your residence or business while adding a touch of elegance and class that will last for generations. Maine Architectural Ironworks offers custom iron picket fences, panel fences, iron archways and custom architectural ironwork. Whether your project is ornamental or functional, they will take it from initial conception to fabrication and all the way through to installation. 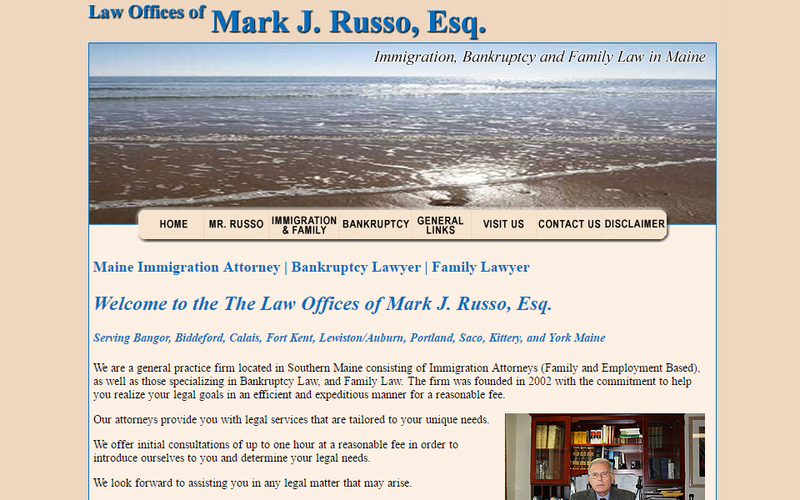 Attourney Mark J. Russo, Esq. Attourney Mark J. Russo, Esq. 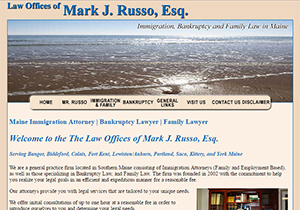 ... A general practice firm in Maine concentrating in the areas of Immigration Law (Family and Employment Based), Bankruptcy Law and Family Law. Attourney Mark J. Russo, Esq. provides you with legal services that are tailored to your unique needs, and offers a free initial consultation of up to one hour at a reasonable fee in order to introduce ourselves to you and determine your legal needs. 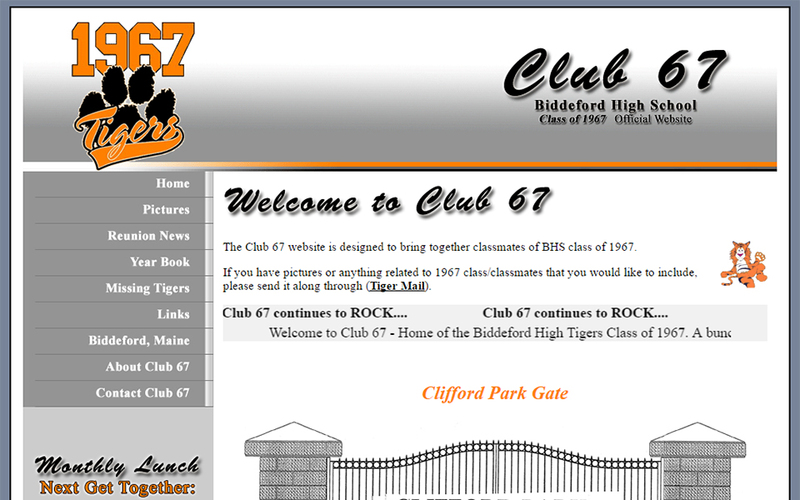 The Club 67 website is designed to bring together classmates of Biddeford High School, Class of 1967. Classmates meet at various local hotspots on the 3rd Wednesday of every month for lunch and to catch up on "old times". 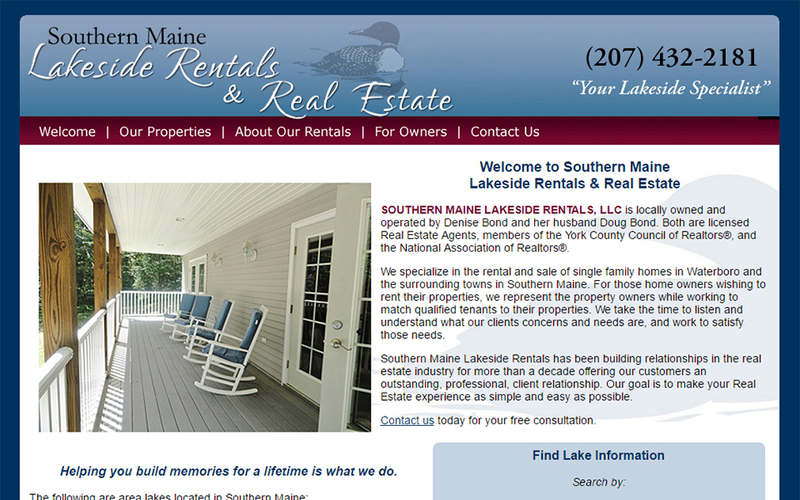 This website was designed so that the website owner could make minor changes and updates to the main content area. 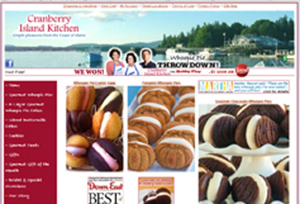 Cranberry Island Kitchen won the Throwdown vs Bobby Flay for their Pumpkin Whoopie Pies with Maple Filling! National attention was brought to these unique and whimsical handmade cookies, cakes and gourmet whoopie pies that are inspired by simple pleasures of island life. Their greatest wish is that every bite you take brings you back to simpler time. 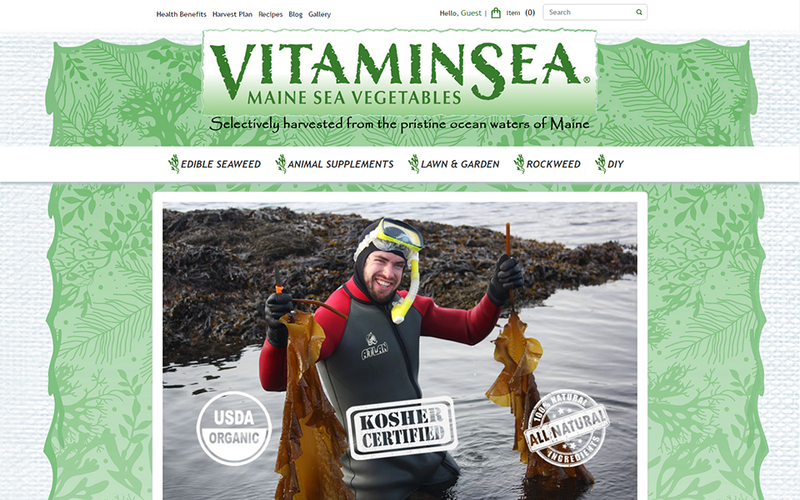 Cookies and desserts are Maine made, handmade, and baked the old fashioned way, with real, wholesome ingredients. Cranberry Island Kitchen is now closed. Salty Acres Campground was located just outside the village of Kennebunkport, Maine near beautiful Goose Rocks Beach. Whether you preferred an open sunny campsite or a quiet wooded one, Salty Acres had over 300 tent and trailer sites. 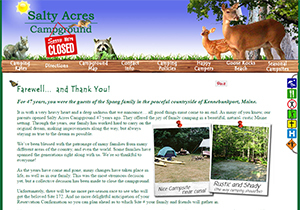 Campground is now closed after 47 years. Be sure to learn About dawnsweb.net and visit Links to view a listing of other businesses and individuals that dawnsweb.net has been involved with through the years. dawnsweb.net will enjoy working with you to create exactly what you're looking for. Feel free to send an email () to ask how we can help.